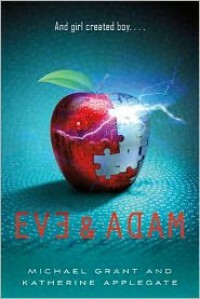 Eve and Adam, while highly enjoyable, was far from perfect. I know for most people it was either a hit or miss. For me it’s floating somewhere in between.The writing just wasn’t that great, something I’d expected. I hadn’t read anything before from either author, but I just felt that the fact that it was a collaboration was going to lead to some problems. Their never seemed to be a clear narrative voice, and that bothered me. Luckily, the writing still managed to flow smoothly and was very easy to read.The characters we’re very original. They seemed kind of bland and predictable. Eve was the smart, sassy girl who hates her mom, Aislin was the dumb girl who wastes money and dates jerks, and Solo was the hot boy who just happens to stumble into the plot. And yet I sort of liked them! But my favorite character is almost definitely Eve’s mom, the “Terror”—she was just plain evil!I did actually like the plot. It was predictable, but fun and full of action. 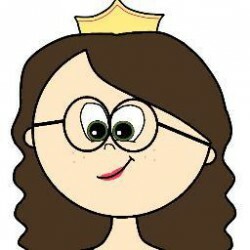 There were some twists and turns that I didn’t even catch in time and by the time I was finished my head was spinning! So if you don’t mind predictable characters and love some action, Eve and Adam is one to check out!